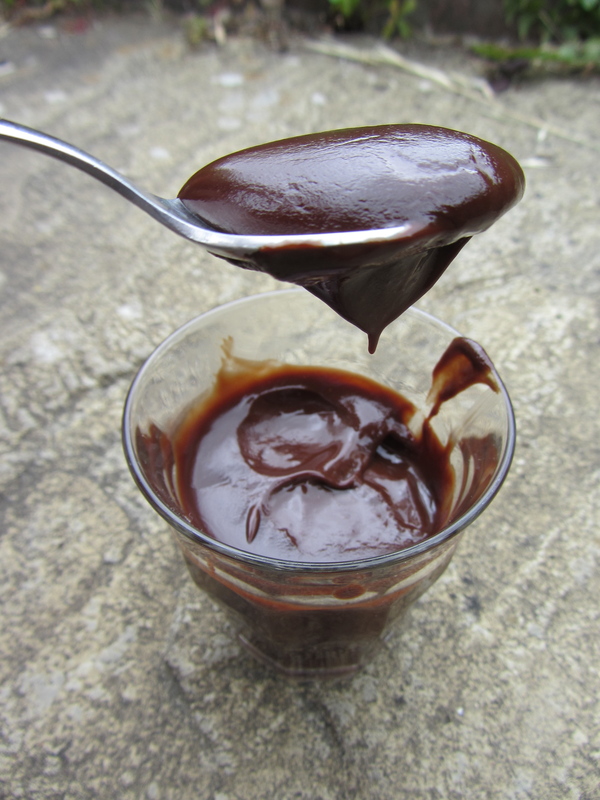 A rich, decadent and very chocolatey pudding – think those little Gu pudding pots you can buy. 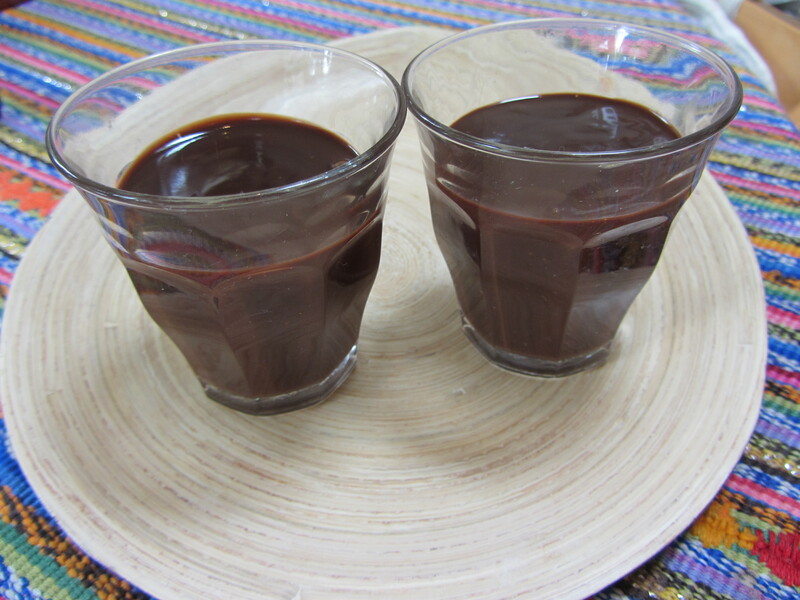 These are dairy-free and would set nicely after a good amount of time in the fridge – we wanted them for pudding so they were still a little oozy (see pictures), but still rather delicious. – Place all the ingredients in a saucepan and melt together over a gentle heat. – Stir until smooth and unctuous. – Chill until ready to eat. Truffle pots – how could you resist? Wow, the look good, I’ve not heard of that cream before.